Mr. Paul Cassidy recently retired as Managing Director, U.S. Municipal Finance, New Mexico Region with RBC Capital Markets after 24 years. He has 42 years of experience in the public finance field focusing exclusively on municipal debt issuance and public finance. He is married and lives in New Mexico. He and his wife Connie have two children. His work experience includes municipal debt origination as senior manager, co-manager or municipal advisor totaling over $24 billion. 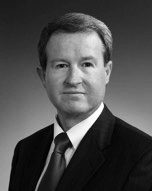 Mr. Cassidy currently serves on the New Mexico State Treasurer’s Investment Committee, Kirkland Partnership Committee Board of Directors and Angel Fire Public Improvement District Board. He was a FINRA and New York Stock Exchange registered securities representative and municipal advisor holding Series 7, 24, 41, 50, 53 and 63 licenses. He received a Bachelor of Science Degree from the University of Wyoming in 1975.